Take a Tour of Volition! Along with the launch of the newly redesigned Volition-inc.com, we’ve recently redesigned nearly all of Volition’s interior. New paint on the walls, updated meeting rooms and offices, and a kegerator for employee morale are just a few of the new additions. 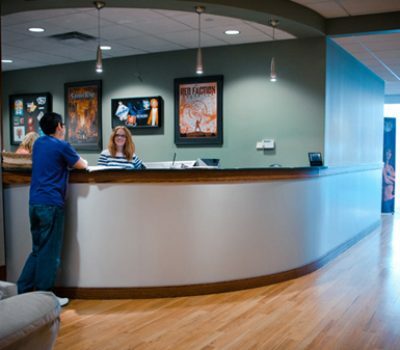 If you would like to explore Volition’s studio and see what we have to offer to our employees on a daily basis, click here.